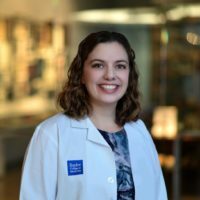 Dr. Haddock attended medical school at Cornell University Medical College, and completed her emergency medicine residency at the University of Michigan. Since her second year of residency, Dr. Haddock has been a staple at advocacy events on the national and state levels. She and Nathaniel Schlicher, MD, JD, FACEP, oversee the Emergency Medicine Advocacy Handbook, updated every few years. Dr. Haddock has also serveed as ACEP State Legislative Committee chair.